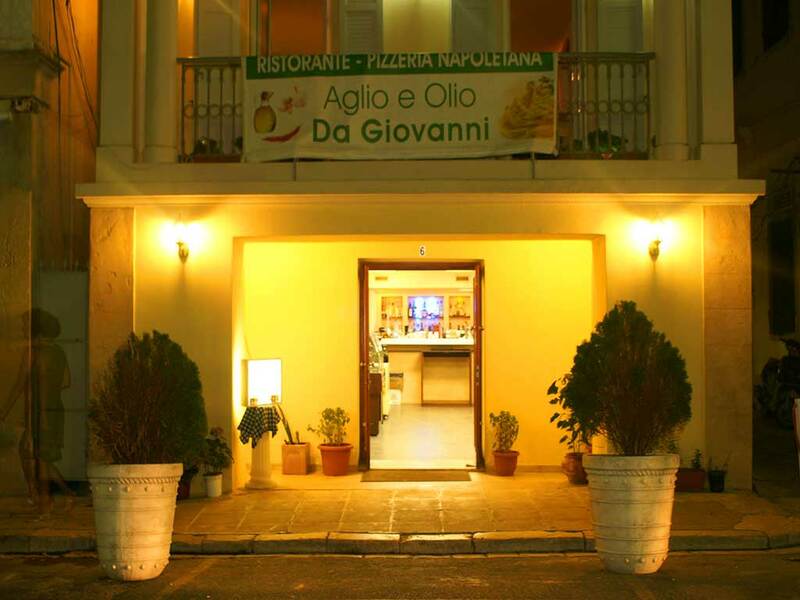 en_US 00302661774770 Ortholithi is a family, traditional restaurant in Agios Gordios, Corfu, that began operating in 2013. It got its name from the vertical rock that is located in the sea. This restaurant was operating from 1993 until 2010, with the name "ALEVIZIS". You are welcome to visit us and enjoy our traditional and local dishes, enjoying at the same time the wonderful view and the blue color of the sea. Also, every Wednesday night, you can enjoy live Greek music. 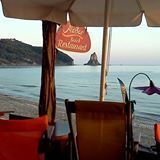 en_US 00306998877929 Romantic Palace is situated in the magical resort of Agios Gordios beach in Corfu, between the green of the mountains and the wonderful beach. We promise you a dreamlike holiday in a family environment. 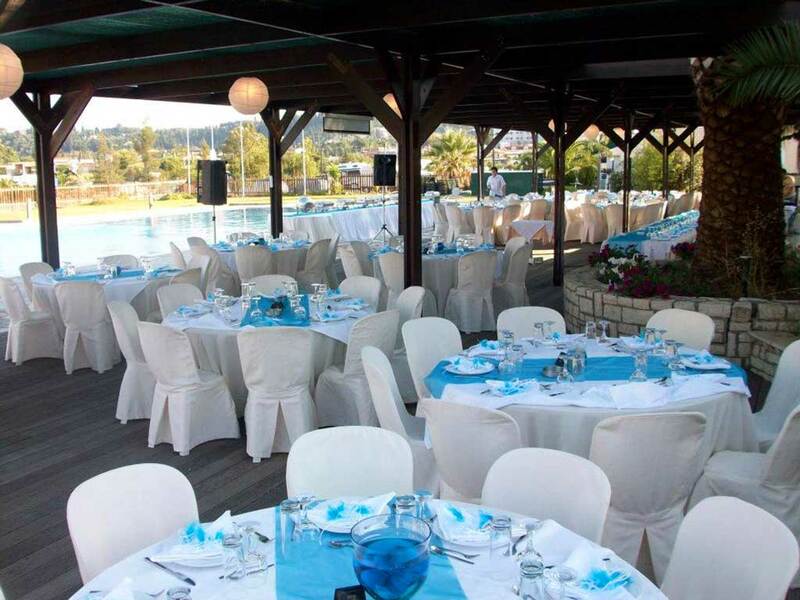 en_US 0030 Restaurant Avra Oceanos is located at Prasoudi beach! 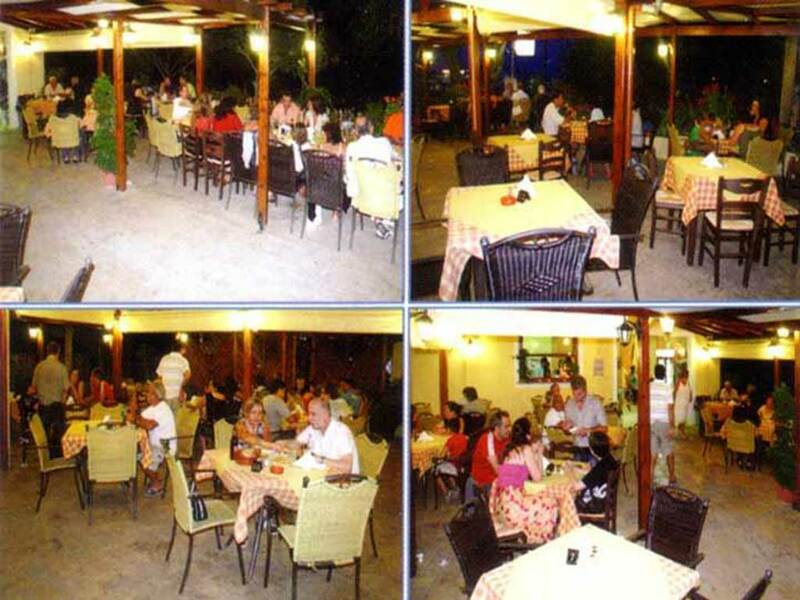 Spiros and Ilias will welcome to this family tavern and will treat you the best way possible. They will make sure that you will enjoy your lunch/dinner after the beach, with fresh fishes and the most fresh lobster! The lobsters are living in an aquarium located at the tavern! 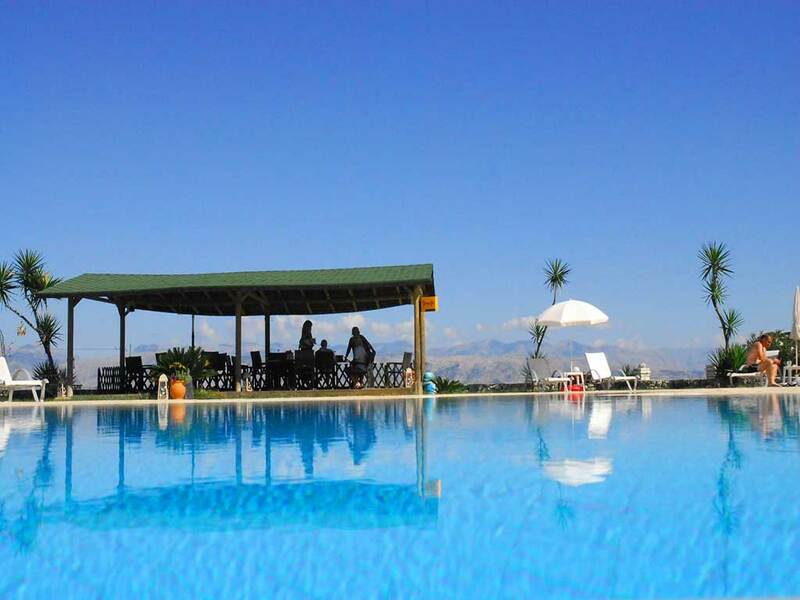 Prosoudi beach is ideal for families or loved couples because of the majestic sunset view! 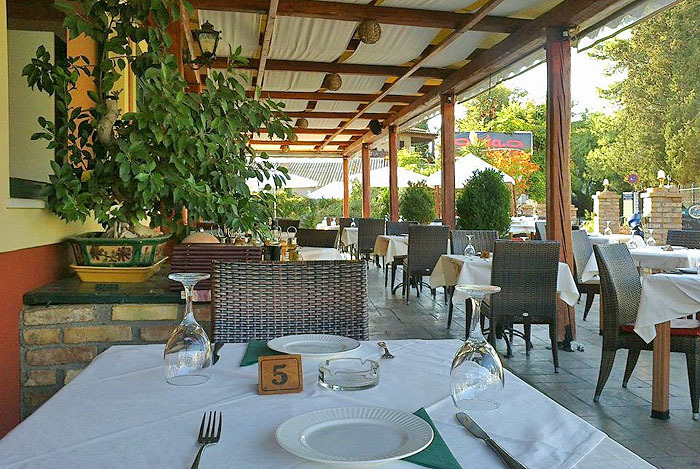 Restaurant Avra Oceanos is one of the best and recommended restaurants in Corfu! 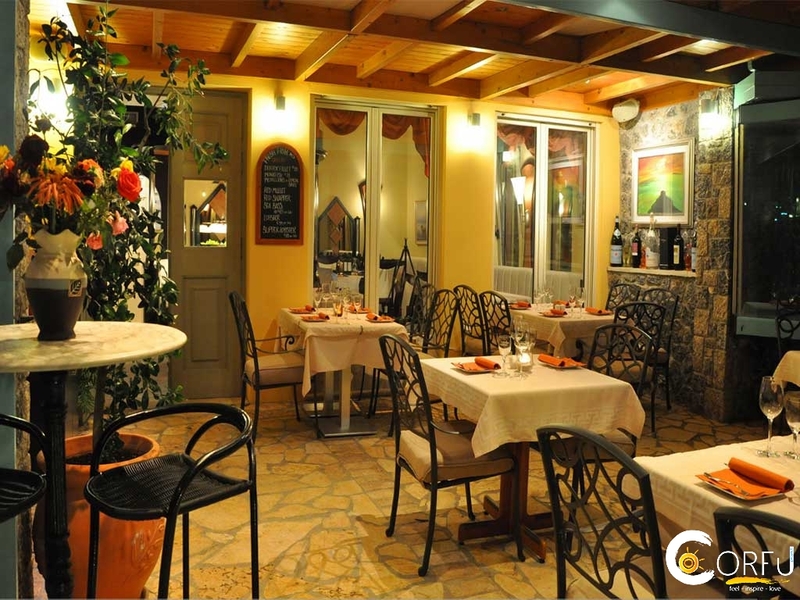 en_US 0030 Located in the west side of Corfu, Family Taverna Plori, has to offer you Greek traditional flavors! 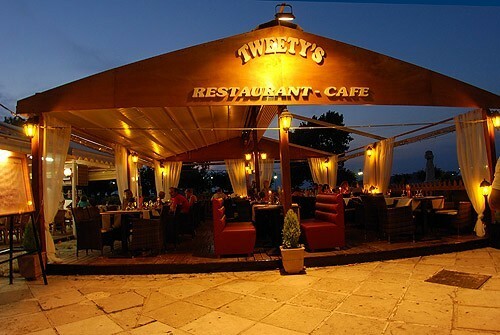 Right next to the sea, it has a fantastic view on the ocean and it offers you on of the best sunset on Corfu Island! The owners are happy to meet you and welcome you to their taverna! 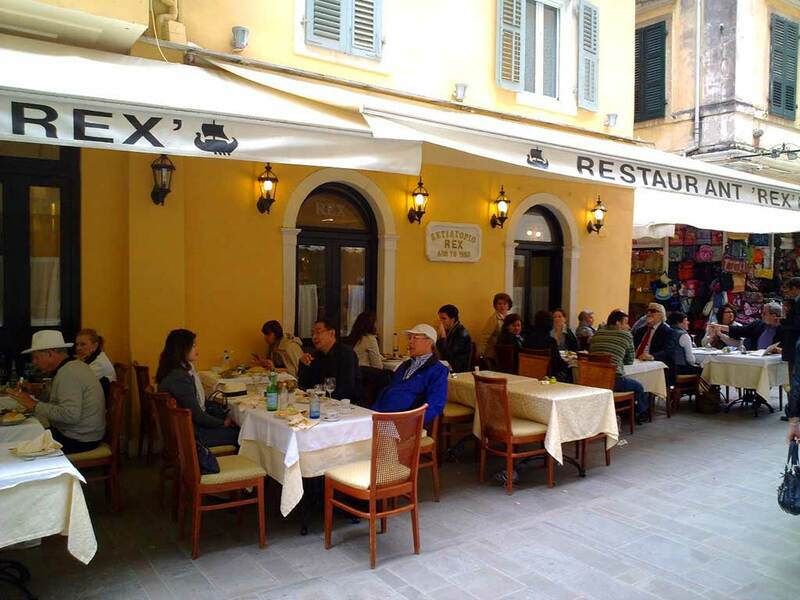 If you are in Corfu you must definitely taste the dishes of mr. Alekos! en_US 00302661045910 For many years, the food of our house we offer to our customers, respecting the tradition and homemade materials. Our recipes are traditional. Original, like our smile. 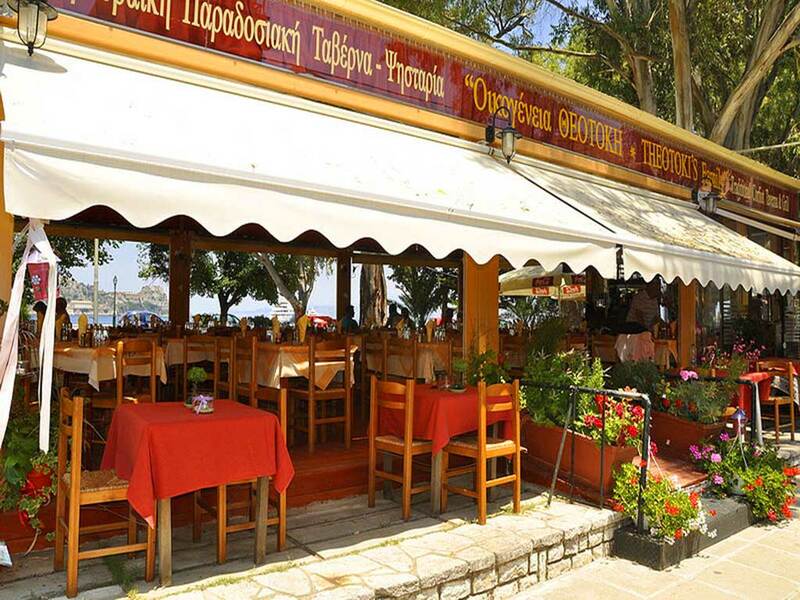 Come to Tavern Theotoky to experience an authentic Corfiot family cooks for you tastes and smells of the maiden home! 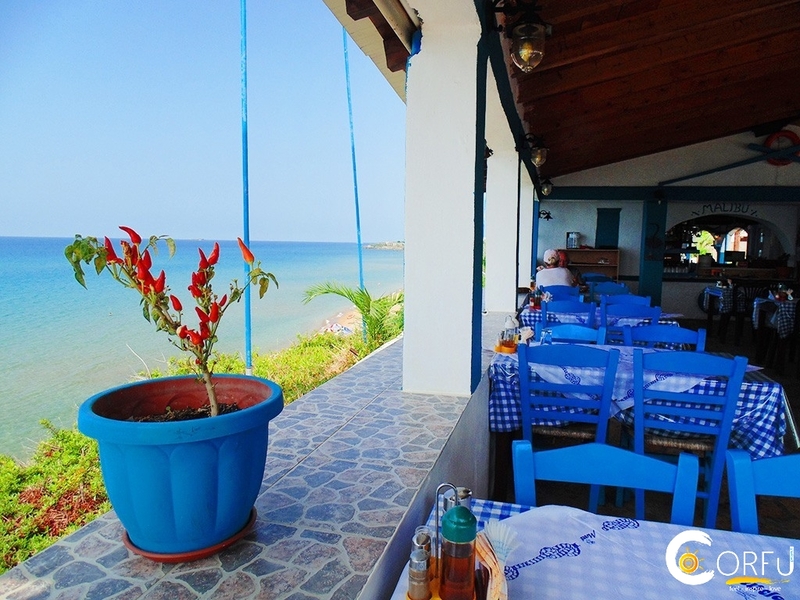 en_US 0030 Taverna Malibu is located in Agios Georgios at the South end of Corfu! 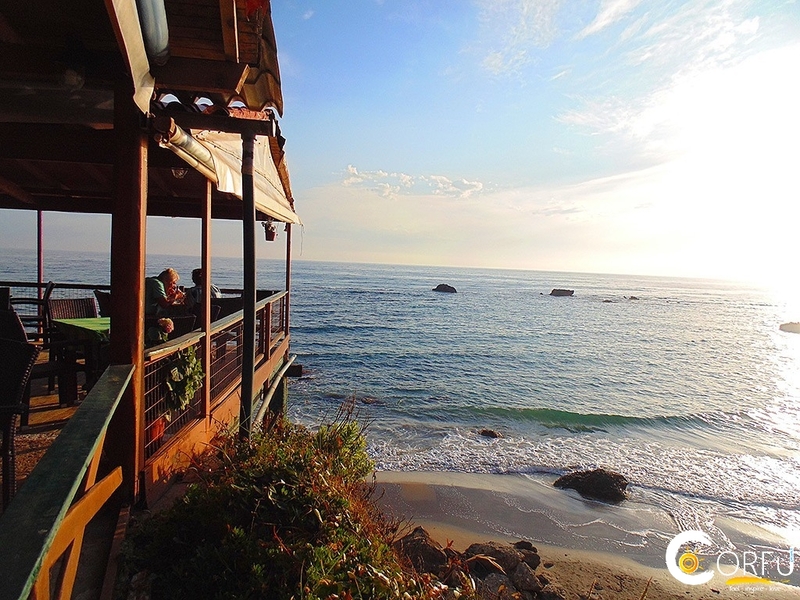 There you can enjoy fresh fish with an astonishing view at the sea! 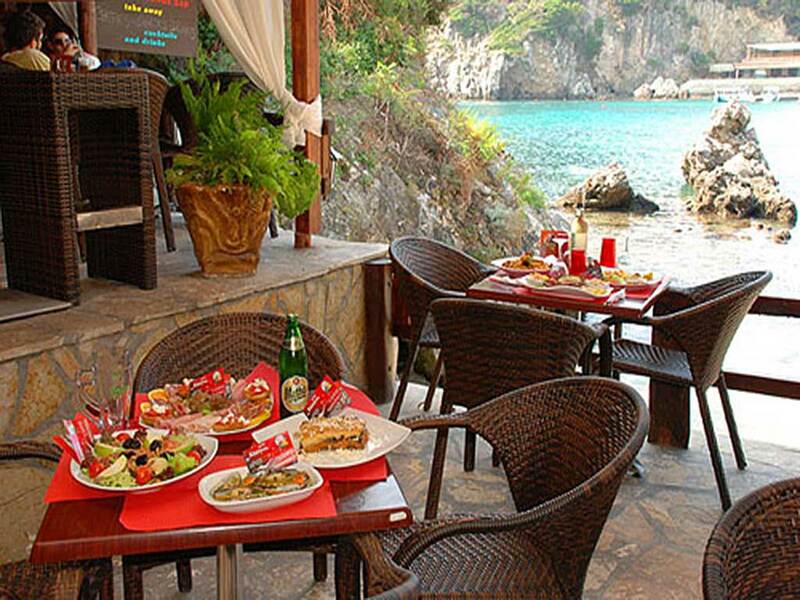 Taverna Malibu is located in Agios Georgios at the South end of Corfu! 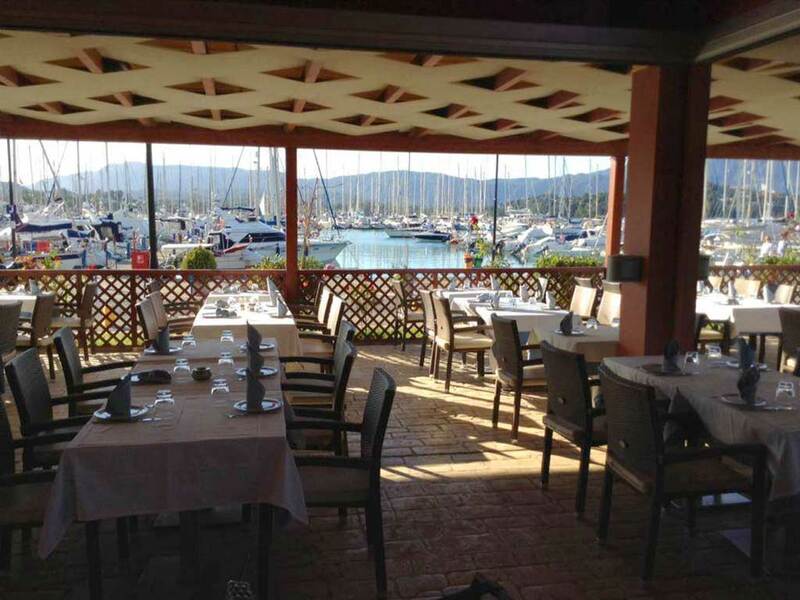 There you can enjoy fresh fish with an astonishing view at the sea! en_US 0030 Seaside Restaurant Naftis Kontogialos Pelekas will offer a unique experience in beverages, food and entertainment. * Open all day. The atmosphere in the restaurant changes through the day from relaxing breakfasts to lively lunches and romantic dinners. en_US 00302663064446 Welcome to Lemon Garden, a place to nourish body and mind. The BBQ Restaurant serves healthy & tasty food. The bar hosts parties and good music. The menu serves seasonally-specific, locally grown food served every day from 9am to 1pm. 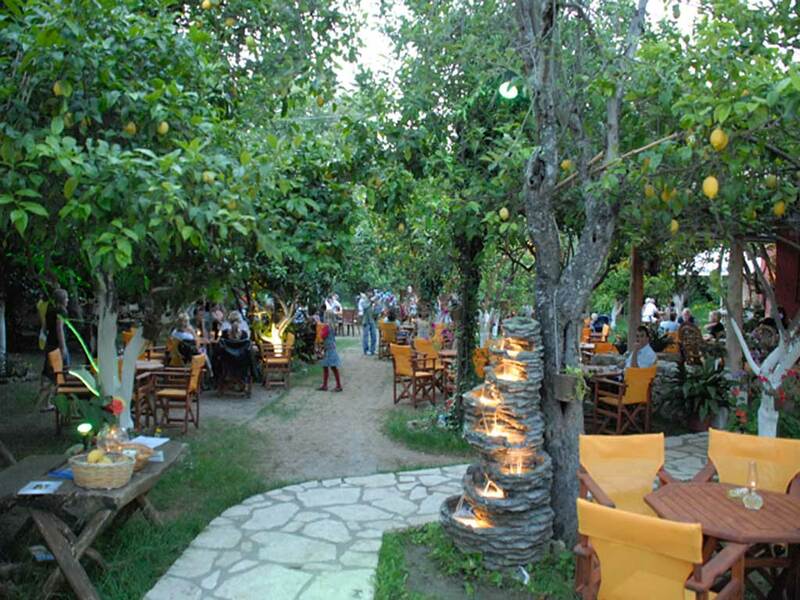 Located in Acharavi on the North Coast of Corfu in Greece, Lemon Garden is situated in a big grove of mature lemon and orange trees and enclosed areas, offering a beautiful environment. Our visitors enjoy FREE WI-FI! You can always expect the unexpected at Lemon Garden! 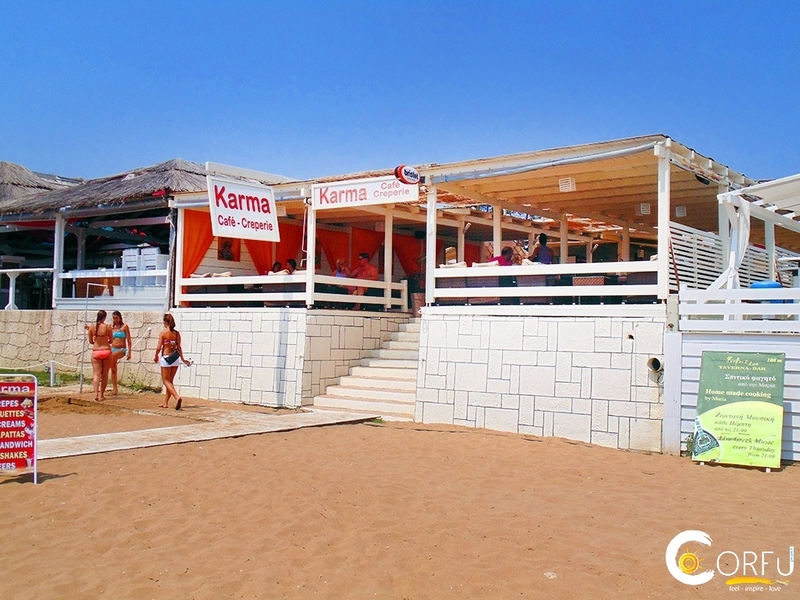 en_US 00302661075149 Sunset Restaurant is a traditional restaurant located at Paramonas beach, near the Prasoudi beach! It has to offer you fresh fishes! and traditional Corfiot cuisine! 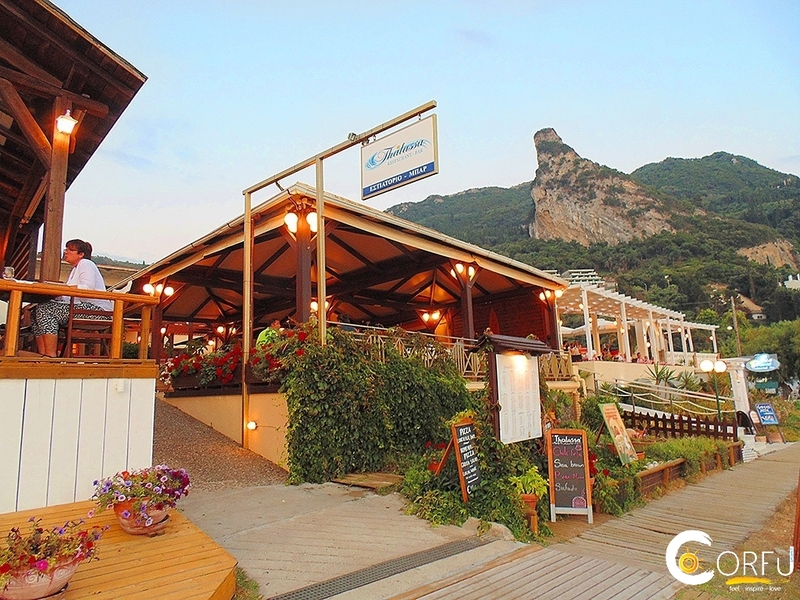 en_US 0030 Lindas Restaurant is located in the wonderful beach of Agios Gordios! There you can taste traditional dishes made by us with a lot of love! 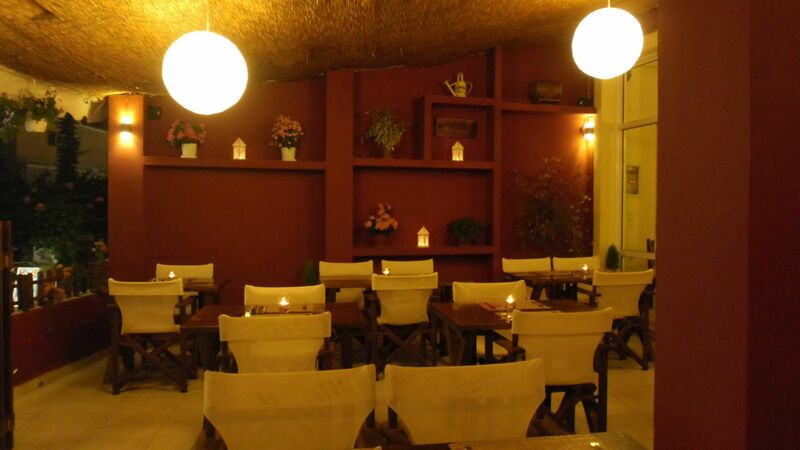 Enjoy a romantic dinner with good wine in a pleasant atmosphere! 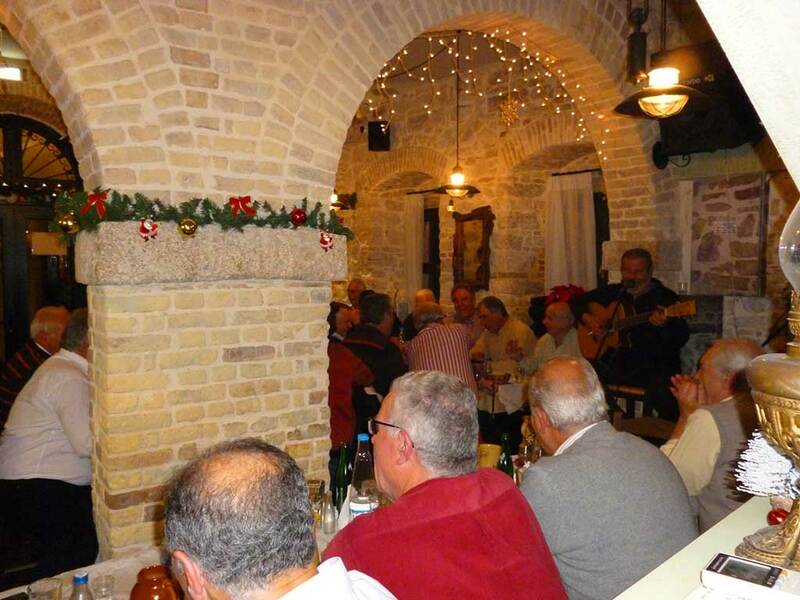 en_US 00302661075256 Welcome to Akrogiali Taverna was founded in 1948 by Mr Prokopis Pachis. 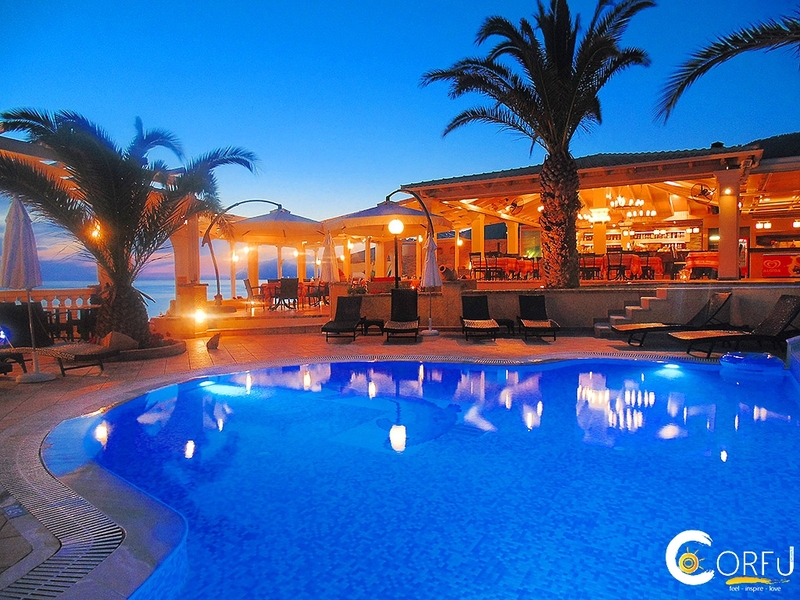 It is situated on the beach at Agios Ioannis Peristeron, between Benitses and Moraitika. 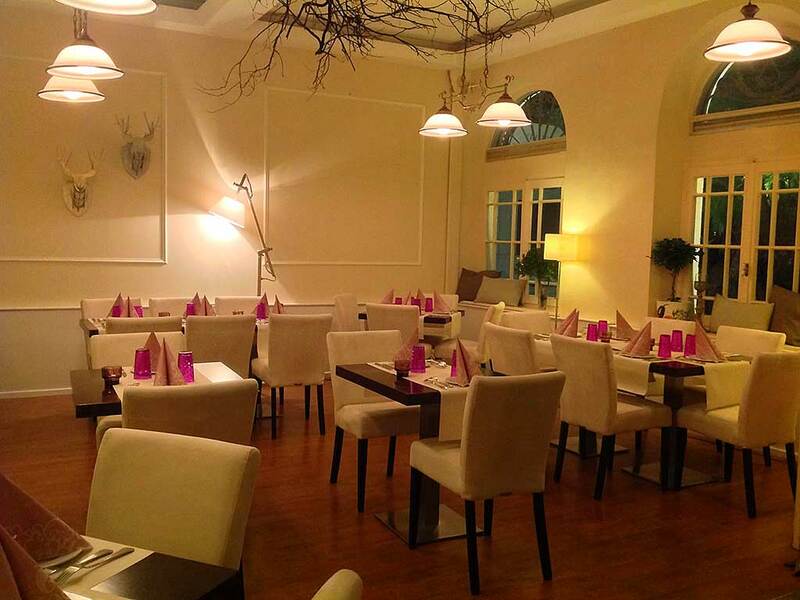 The combination of taste and quality in a fine environment will enchant you. Try the delicious salads, appetizers, sea food, fresh fish, but also the tradittional dishes of Corfiot cuisine. The fine olive oil which is used to cook all our dishes guarantees the fine quality and unique taste. The perfect and friendly service by our experienced personnel, as and our fine environment will live up to all your expectations. 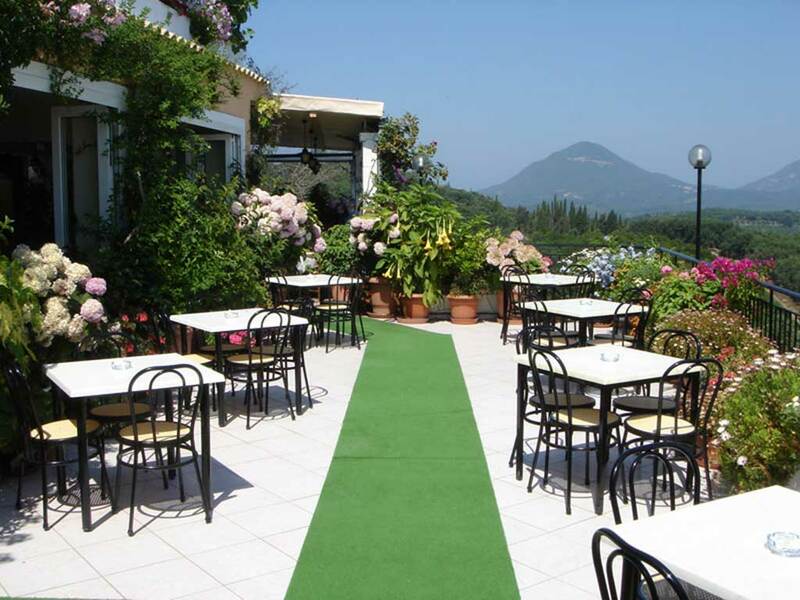 en_US 00302661038763 The restaurant of the Corfu Sailing Club is located inside the old fortress and has been operating since 2004. Over these years, it has established itself among the top choices of both locals and visitors to the island. Mediterranean and Greek dishes, seafood and fresh fish combined with an amazing location indisputably constitute an exceptional proposal for a meal. 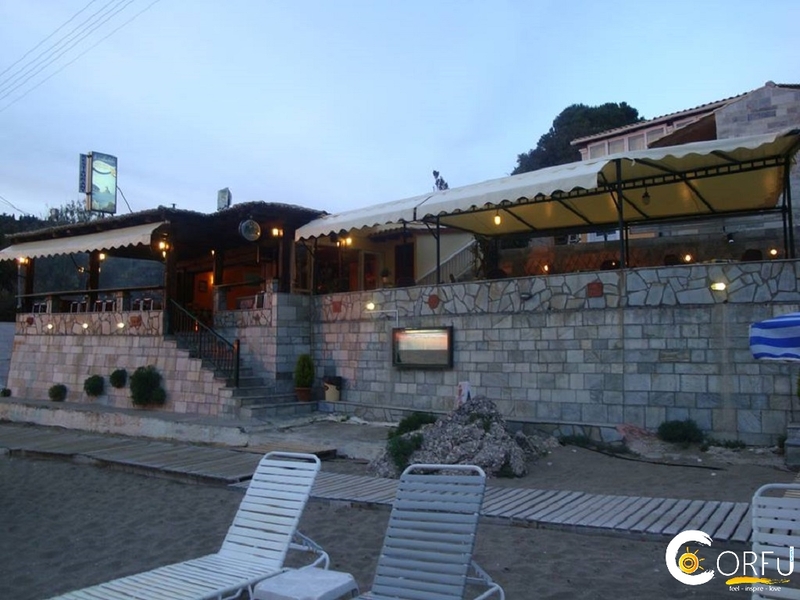 en_US 00302661059040 Alobar The Real Beach Bar Restaurant at Agios Gordis. 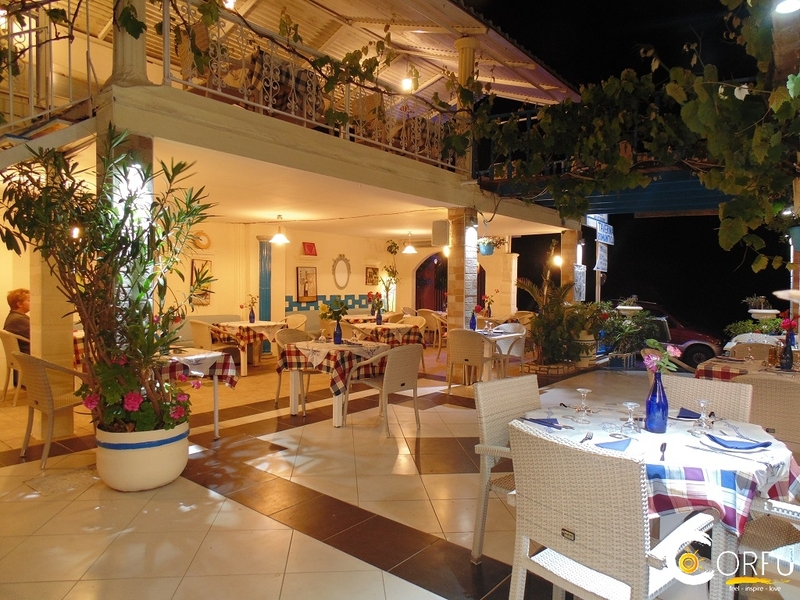 AloBar is a well known lounge beach bar restaurant since 2000. 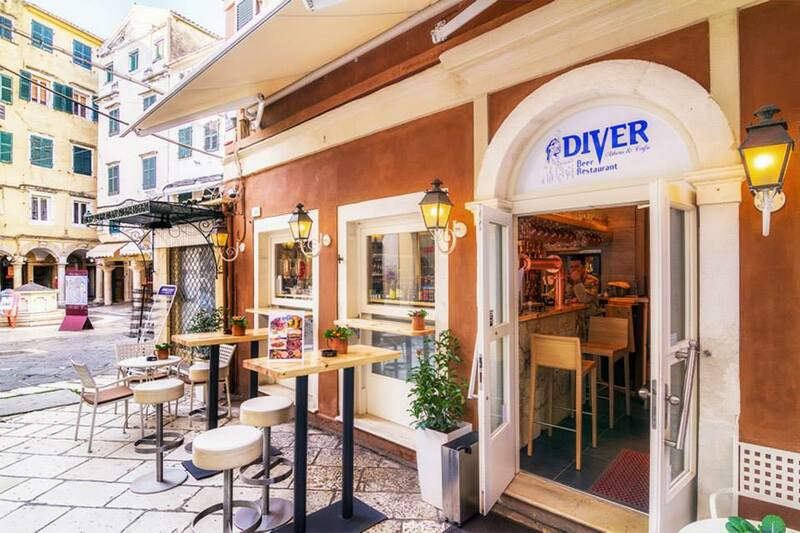 It is mostly known for its fresh taste to delicious Mediterranean, Greek and Sea Food menu, also for fresh home-made pasta and pizza, creative cocktails and good chilled out music. 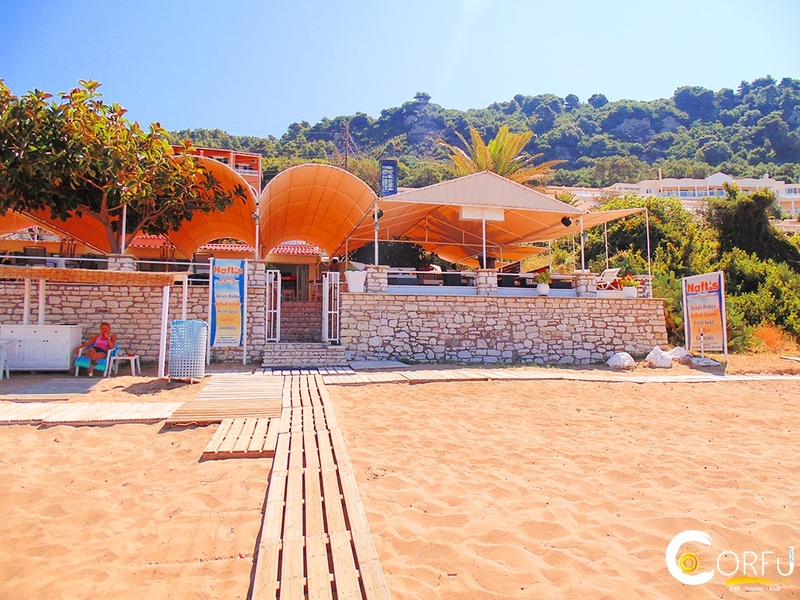 Its ideal setting, right on the beach with free sunbeds for the customers is the perfect companion for swimming, relaxation, meeting new people, and sunset viewing. We are waiting for you at “AloBar” to enjoy the special atmosphere Day & Night. en_US 00302661072027 Kavouras pizza offers you wood fired pizza with great taste. Our pizzas have a unique flavor and texture which you will not find in any of your local pizza shops. 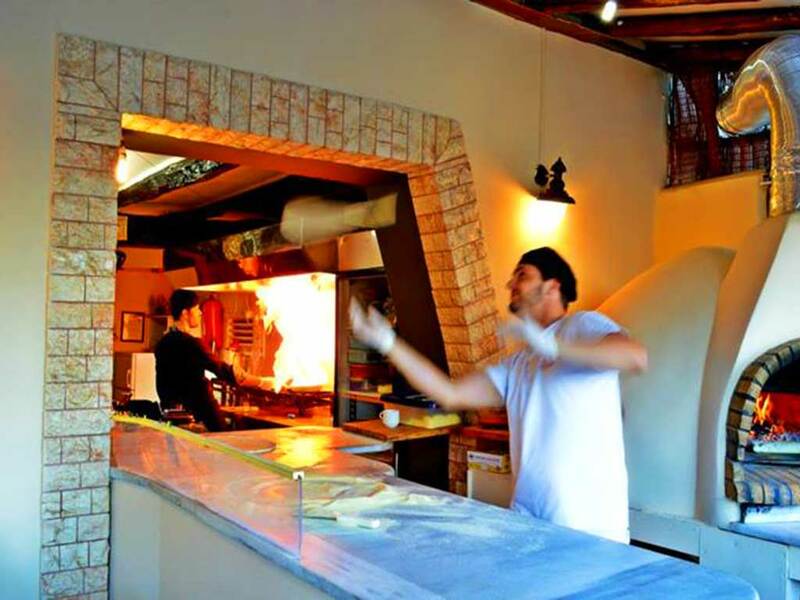 To accomplish this we use a real, traditional, hand-made, wood fired oven to make the freshest, best tasting pizza you have ever experienced, right in front of your eyes! 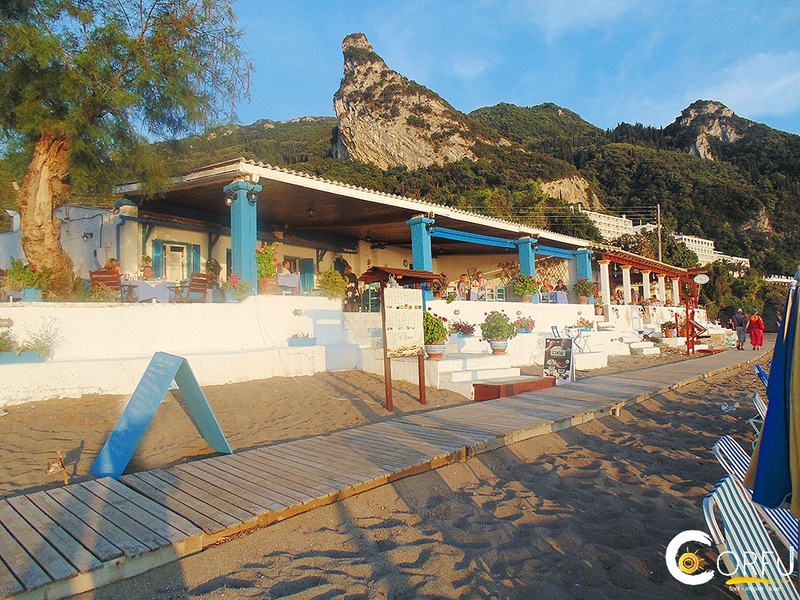 en_US 0030 Traditional Taverna Elenas is located at Agios Gordios beach, right next to the wave! Enjoy your fresh fish or locals foods made with only traditional and local products! Make sure that you will stay until the sunset to enjoy one of the most amazing sunsets in Corfu! 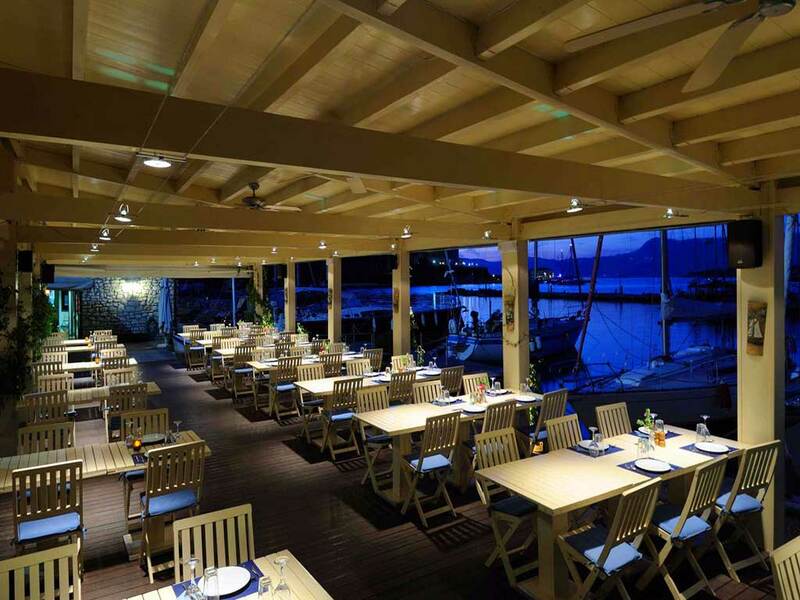 en_US 0030 Located in the magnificent beach of Marathias, Nikos seaside Restaurant promise you that you will enjoy fresh fishes and other traditional corfiot dishes! en_US 0030 Summer, hot, beach, beers, coffee, ouzo, appetizers, and the sea at your feet: Finally, the time when we can enjoy all this at our leisure arrived at Black Rocks restaurant bar. 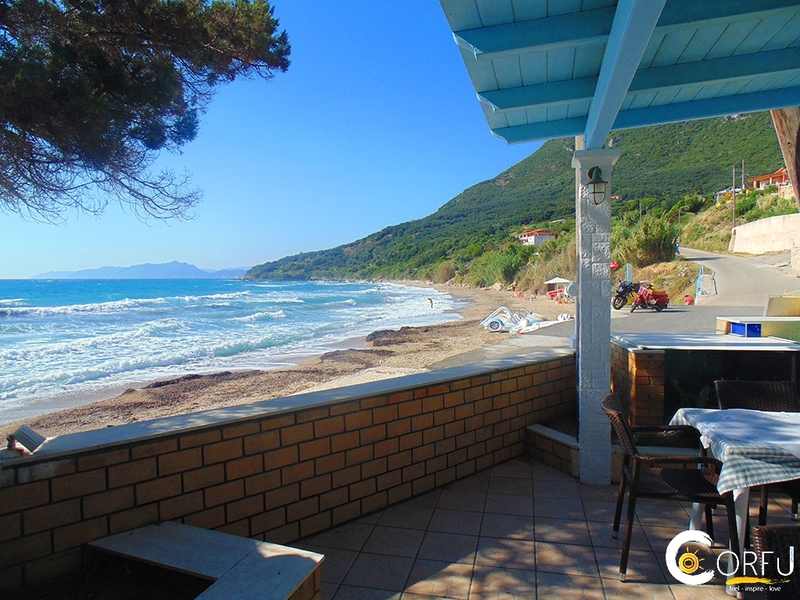 Enjoy our delicious dishes by the waves of the sea of ​​Agios Gordios beach, from ouzo, to work up an appetite, to your lunch or dinner and enjoy yourself moments of relaxation with family or friends in an amazing and friendly environment with a great view. 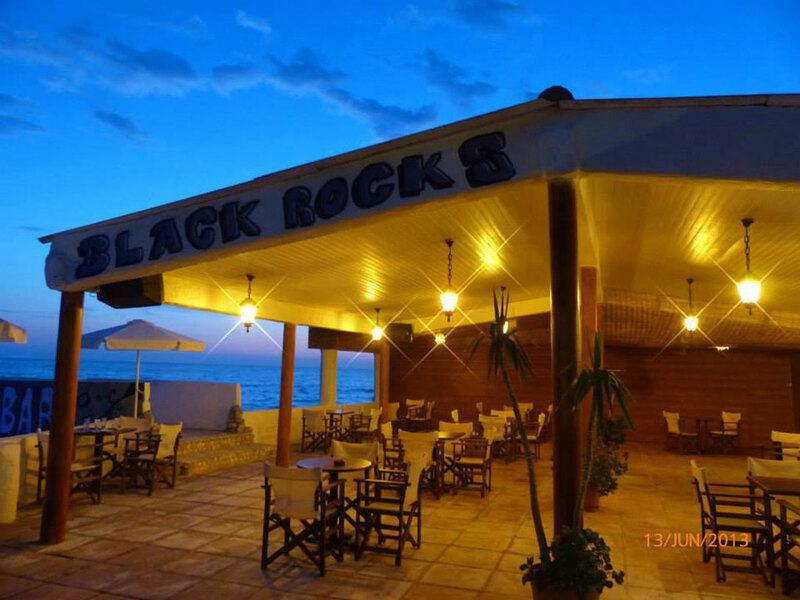 Far right on the beach of Agios Gordis is the Black Rocks in an idyllic location right on the beach, on the rear side of the shop you will find many small, beautiful, sandy beaches with clear waters and relatively isolated. 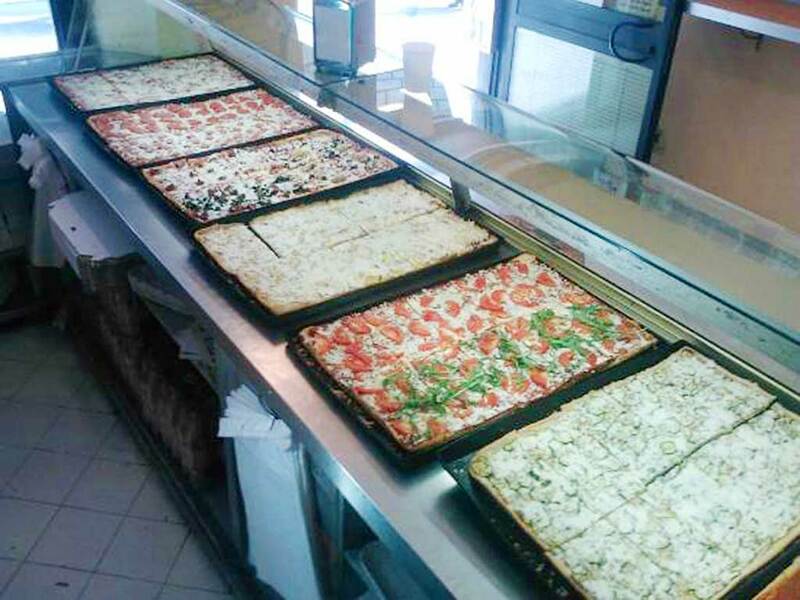 en_US 00302661032006 Pizzaria Pizzaland Corfu All pizzas are made with fresh ingredients, extra olive oil and baked in a traditional oven. 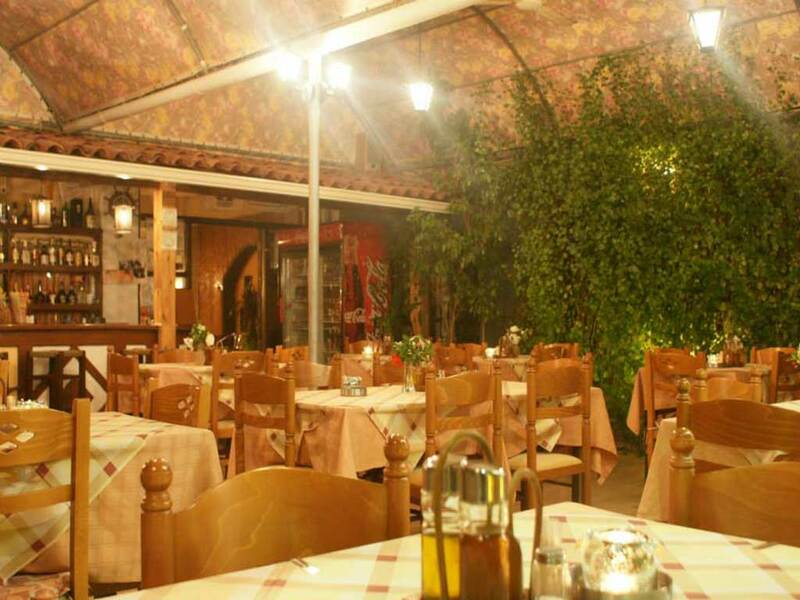 Pizzaria Pizzaland Corfu All pizzas are made with fresh ingredients, extra olive oil and baked in a traditional oven. en_US 00306984934752 Παραλιακό εστιατόριο, μουσικό καφέ με πισίνα και ξαπλώστρες ελεύθερες για τους πελάτες του καταστήματος. Είναι οικογενειακή ταβέρνα με χωριάτικο φαγητό, ουζομεζεδες ποικιλίες ψαρικών και φρέσκο ψάρι. Μεγάλη ποικιλία καφέδων, παγωτών, κρέπες, γλυκά. Παιδική χαρά και φανταστική θεά Ανακάλυψε το! 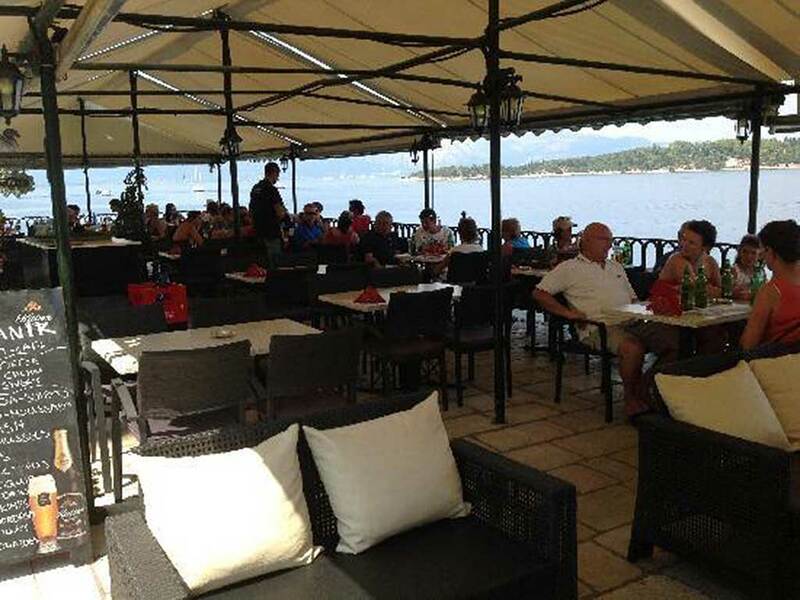 en_US 00302661099251 Argo restaurant is situated in the heart of Gouvia Marina in Corfu next to the Marina’ s Headquarters. 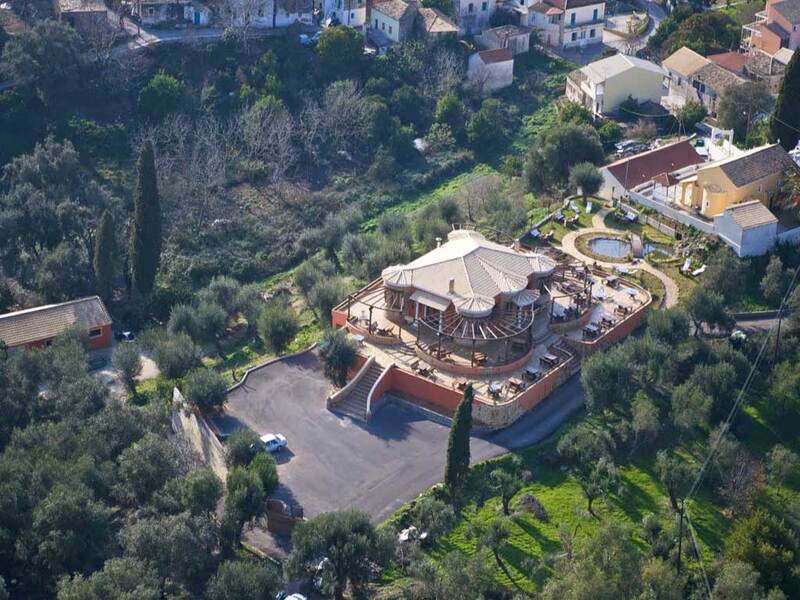 It has a privileged quiet position only a stone’s throw from the sea with stunning views of the Gouvia Gulf. 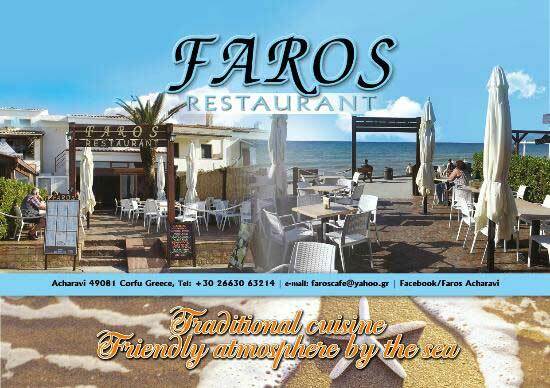 Argo is a friendly place, with a special welcome for the traveller, being perfectly situated with close proximity to the city centre and many nearby beaches Established in 1998, Argo is a family run Greek restaurant, where you can experience the true taste of Greek cuisine. With our friendly front of house staff imparting helpful knowledge about food and drinks, and our dedicated team in the kitchen, it's easy to see why we take such pride and enjoyment from what we do. We offer a fine selection of mouthwatering traditional dishes, focusing on grilled fish, local recipes, and pasta. We choose yummy fresh fishes from the catch of local fishermen, which we serve grilled with olive oil, lemon and local spices. Our signature dishes include the “Kleftiko” (slowly cooked lamp shoulder with rosemary and feta cheese) and “Marinara” (spaghetti with a selection of seafood in fresh tomato sauce with garlic and parsley). We have a delicious selection of desserts and a good stock of quality wines for all budgets. en_US 0030 Food Gallery Restaurant is located in Agios Gordios. It is a special restaurant and it has specials flavors to offer to you. From Asian cuisine to Traditional, European and Mediterranean can make, even the most demanding palate, thrilled! 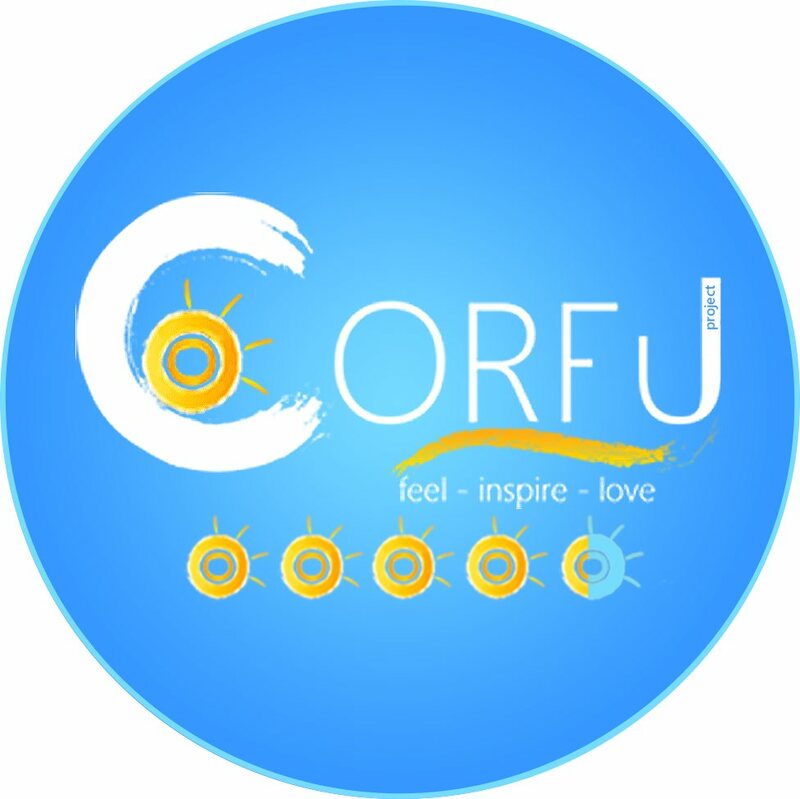 Taste the local products from Corfu on another way! en_US 00302663081589 Our master chef, with 25 years of experience, invites you to savour the dream Greek and Mediterranean dishes she creates out of the finest and freshest local ingredients in one of Corfu's and Kassiopi's most beautiful locations. Enjoy our fine meat, fresh fish and seafood dishes and sample some of the best Greek and International wines in elegant luxury whilst we serve you with care and attention to detail. An evening at Trilogia will be an evening to remember and to be repeated! en_US 00302661039649 Restaurant R E X was founded in 1932. 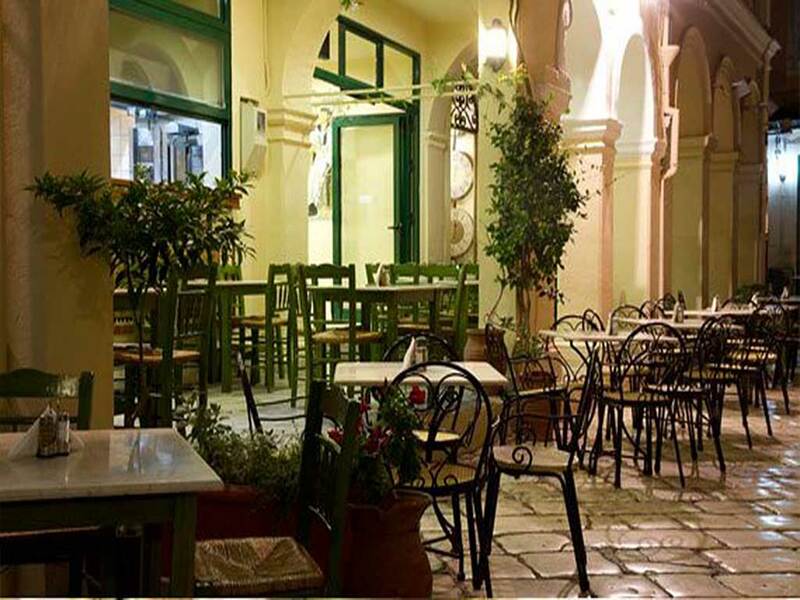 It is situated in Kapodistriou street, one of the most important streets of the town across the historic buildings of Liston. It is famous for the quality and the variety of its flavours! 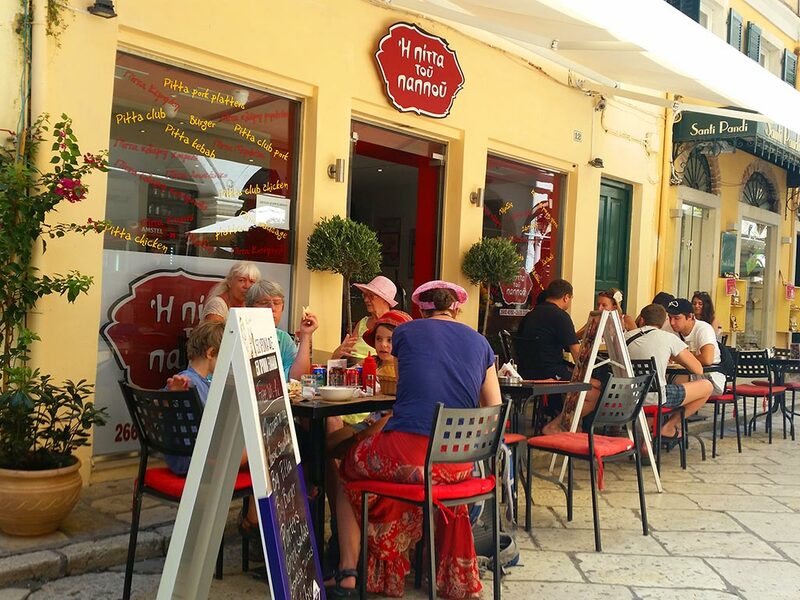 en_US 00302661026457 The Traditional Tavern Pergola, downtown, in the Jewish Quarter, serves genuine Corfiot recipes, great variety of appetizers and wine. We invite you to try our delicious dishes made ​​from fresh ingredients and stand for quality, authenticity and affordability. en_US 00302661042140 Ποιοτικά πιάτα και προσεγμένα στο παλιό λιμάνι της Κέρκυρας. Η γεύση στο Tweetys αποκτά αξία, καθώς η κουζίνα του ετοιμάζει πιάτα θαλασσινών και τοπικών γεύσεων που ο κόσμος έχει εκτιμήσει πολλά χρόνια. Ο καφές αποκτά ιδαίτερη διάσταση χαλαρώνοντάς σας στο όμορφο περιβάλον του παλιού λιμανιού. 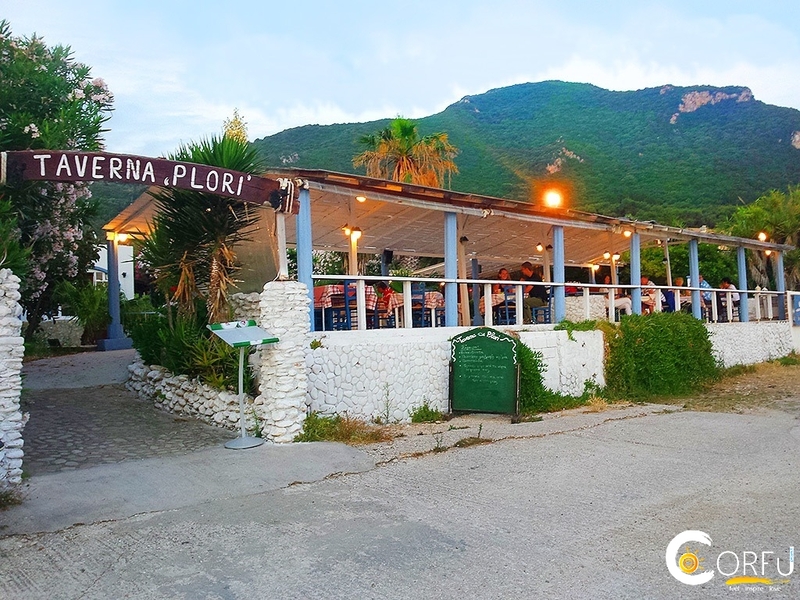 en_US 00306972319413 Set in an idyllic position overlooking the golden sands of Aghios Gordios and adjacent to our fabulous swimming pool, it offers a beautiful setting for both lunch and dinner in a lovely taverna-style atmosphere. Our family-friendly menu is one of the most extensive in the resort and we pride ourselves on the excellent quality of our dishes as well as the efficiency of our service. 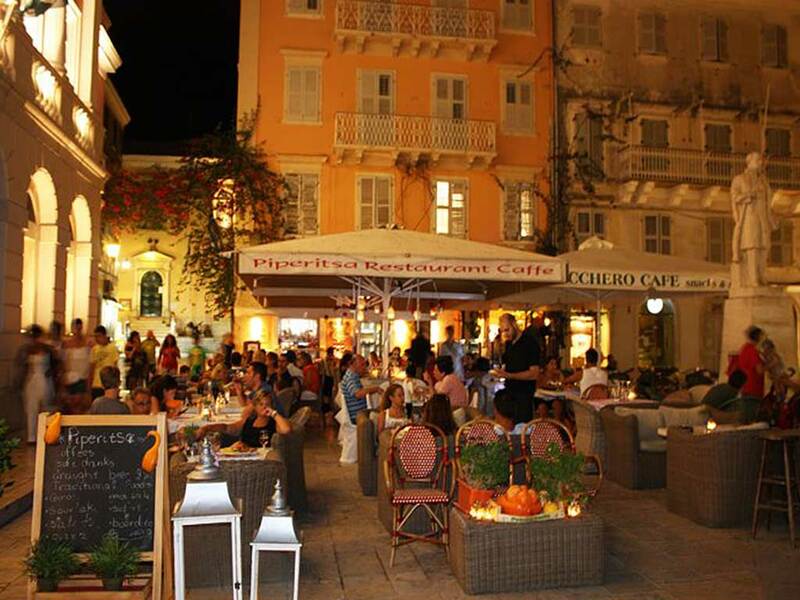 en_US 00302661022815 Two restaurants in the heart of the old town of Corfu. Traditional flavours with a modern look and a classic casual environment that welcomes everyone. en_US 00302661043300 Delicious crayfish pastas and traditional sofritos go to and from the tables and the only break is in order to have a glass of one the most selective wines of the wine-cellar. 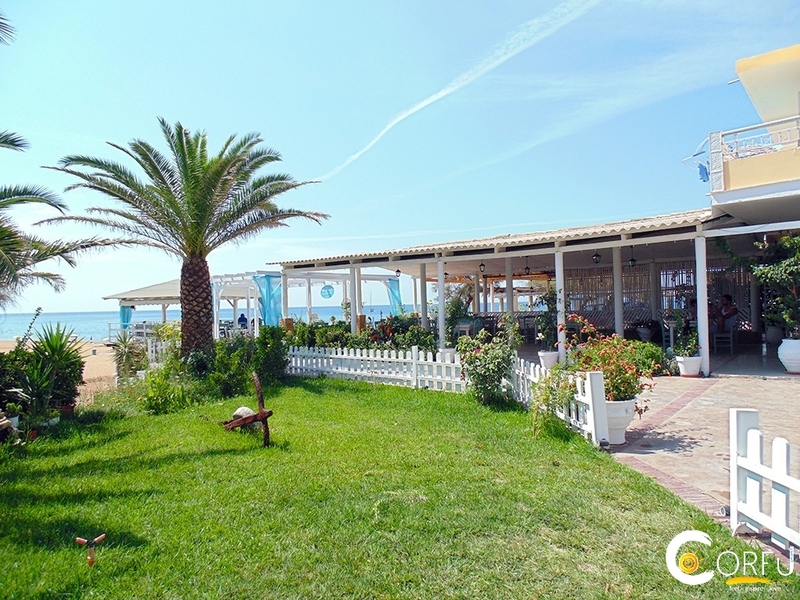 When the delight meets its most mediterranean version then all roads lead to Olympia Restaurant, which also has a summer aura called Olympia Mare. Weather permitting, you may have a seat at one of the outside tables. Having the marina in front of us and the blue sky as a background we get ready for a delightful tour. Our menu is a gastronomic treasure by itself, including almost the whole mediterranean vocabulary of flavors. en_US 00302663041305 For desserts, crepes, waffles, fruit salads, unique original coffee and tea selections, long drinks and exotic cocktails… For an inspiring menu created with fantasy, passion, quality in taste and last but not least respect to our grandma’s recipes… For unique freshly made snacks which combine quality and quantity in harmony… For fresh unforgettable salads and delicious fruit salads… For crepes, pizza, and sandwiches in white or whole meal bread… For mezes with beer, ouzo or local wine… For homemade vegetarian dishes with local olive oil and spices… GRAN ALADINO !!!!! For coffee with friends ,a meal with family ,for a romantic dinner by the seaside or simply to relax and enjoy international cuisine with quality ,friendly service and good music ……beach bar restaurant Gran Aladino. 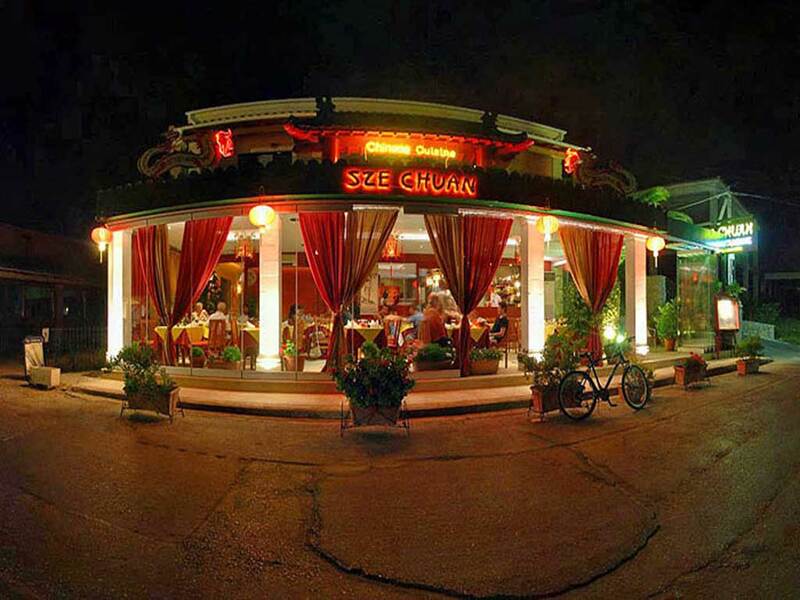 en_US 00302661026560 In just a wonderful environment 4 kilometers from the town of Corfu in Gouvia, enjoy the great Chinese cuisine recipes with our traditional Chinese food prepared with care by Chinese cooking. en_US 00302661090994 Responsible for the kitchen is Mama (Vana), cooking home made recipies in co-operation with the chef of the Restaurant. Our cuisine has been affected by the Italian cuisine, as you will find home made pizza baked in the oven, at the time you order it, big variety of pasta that you will certainly enjoy and Italian bruschetta with fresh tomato, basil from our garden, Italian mozzarella and extra virgin olive oil. In addition, you could taste all the traditional Corfiot recipies such as '' Sofrito'' or '' Pastitsada '' that will be unforgetable to you or you could choose from a variety of meat baked on the charcoal. For the end of the evening we would suggest you have some of our fresh and home made sweets in combination with an Italian espresso or cappuccino. en_US 00302661091245 The tavern, at the beginning, having nothing but the love and interest of Thomas's family, proved that had a great potential for surviving. Year after year, the tavern was blessed by a loyal clientele which felt more like being hosted by a good friend and much less served impersonally. 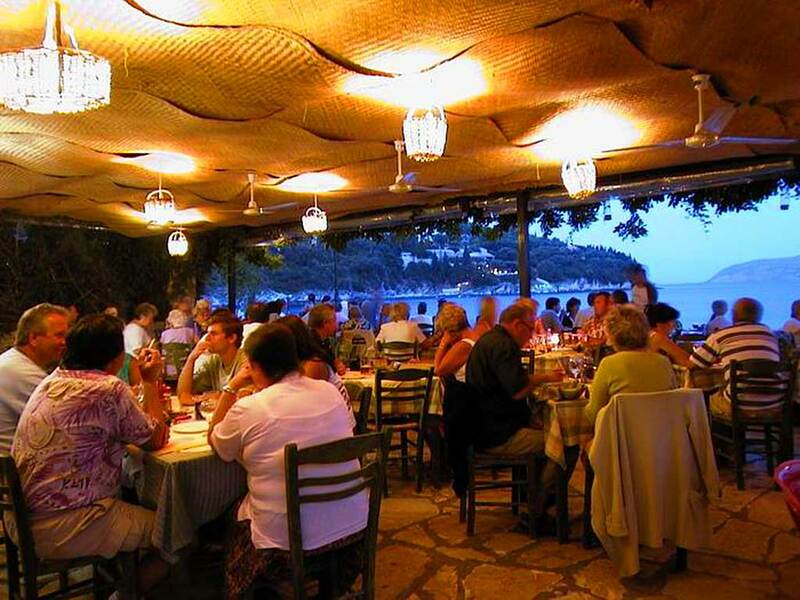 To the tavern's success can be added the traditional greek cuisine, its unique position by the waves and its atmospheric, local colour. 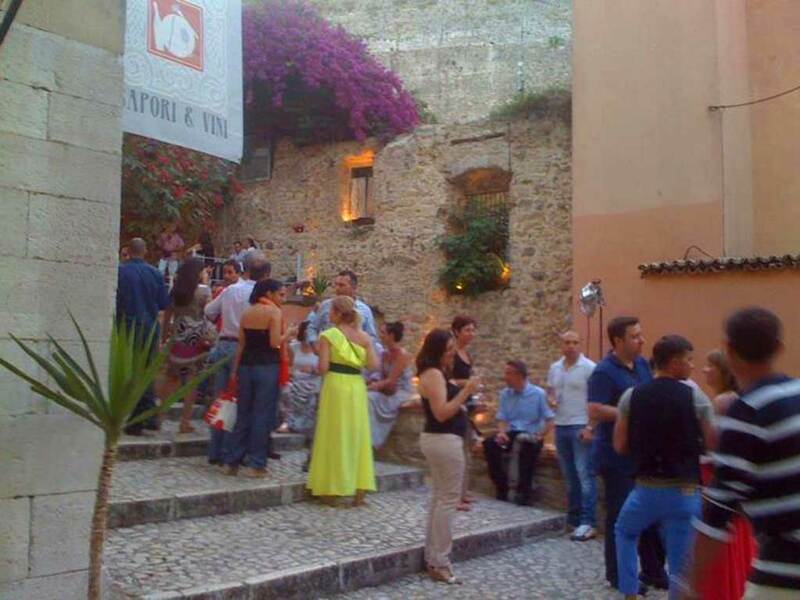 Today, the tavern continues to hold the preferences of Kalami's visitors and has changed its name from "Pepe's" to "Thomas's Place". It is equipped in a modern fashion, but always respects the traditional cuisine which made it famous. en_US 00302661081785 Mediterranean Cuisine Restaurant. Special dishes daily and great selection of greek wine. The garden is situated just below the New Fortress of Corfu. Mediterranean Cuisine Restaurant. Special dishes daily and great selection of greek wine. The garden is situated just below the New Fortress of Corfu. en_US 0030 Ηarry’s Taverna adjacent to Gouvia Marina in the village of Kontokali, has been serving locals and travelers for more than a century. Spanning three generations, Harry’s Taverna was officially established in 1912 offering travelers warm hospitality and excellent meals in an inviting setting. en_US 00302661053301 You are all invited to Steven's on the hill to enjoy your summer days and nights, taste a variety of dishes from Greece and all over the world. Enjoy live music and dancing in Greek and modern rhythms. 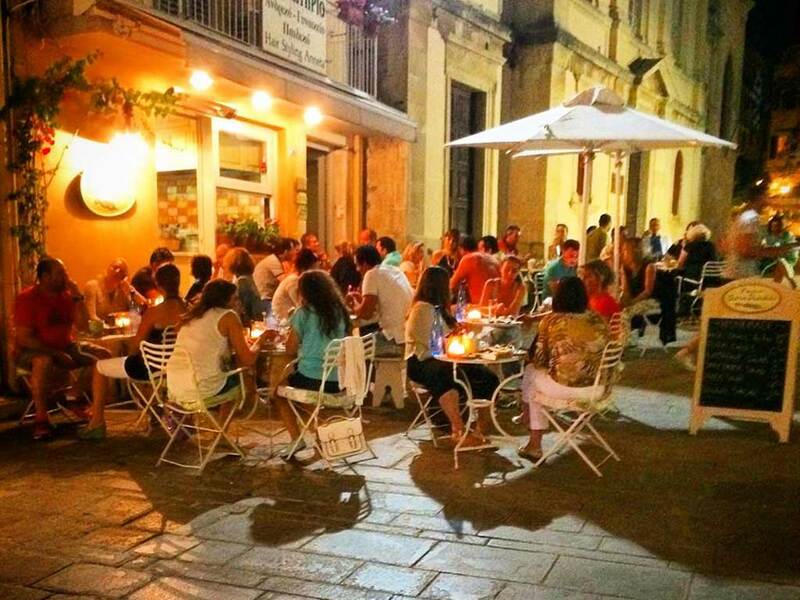 We organize steak nights, pizza nights, bbq nights, Corfu nights. You can also have breakfast and lunch, a cool drink, cocktail or coffee. en_US 00302661053256 We know from over 35 years of experience, that our friends and customers are all looking to escape from the stresses of everyday life, relax and experience a little taste of Greece. This is what we strive to give our guests in our famous Taverna and home from home accommodation. We have kept all the natural beauty and charm of the Taverna that my father built back in the 1970’s and added the necessary modern touches to ensure that our customer’s experience a traditional Greek atmosphere together with good quality food and service. So with a little help from my family and staff we have made: A menu that makes you want to try new dishes every night! Our own recipes available online so you can be creative at home Delicious home-made wine that you can enjoy and help make! Olives and olive oil from our own local olive groves Not only do we offer traditional Greek food we also make sure that you get to taste the unique atmosphere of Greece with live traditional Bouzouki music regularly each week. 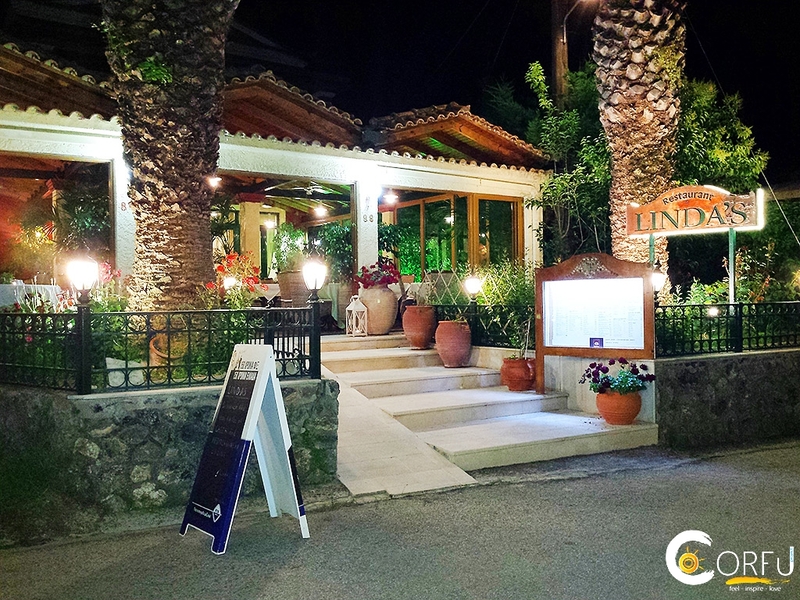 The combination of all these elements and of course our great staff that make you feel at home and part of our family, we welcome you to join us for a delicious meal in our traditional Greek Taverna – Sebastian’s. 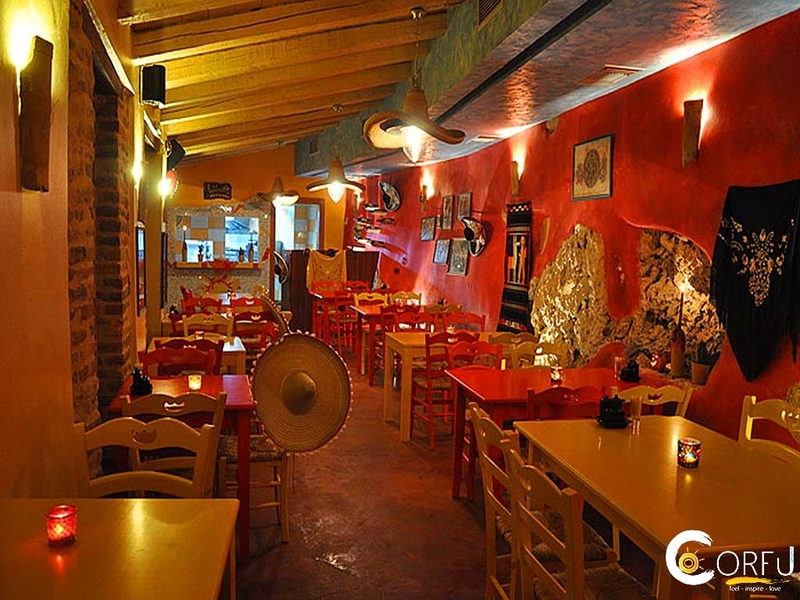 en_US 0030 La Tabernita Mexicana Grill & Tequila Bar is located in Agios Gordios beach and it offers you a real mexican experience. If you are a lover of mexican cuisine, you have to try it! Drink your cold margarita and taste flavours straight from Mexico! en_US 00302661075028 Παρόλο που η ταβέρνα είναι διάσημη για τα 75 ΣΚΑΛΟΠΑΤΙΑ της έχει γίνει μεγάλη πρόοδος από τότε που πρωτοκτίστικαν τα σκαλοπάτια. Ένα ασανσέρ μπορεί να σας πάρει σχεδόν απ’το ισόγειο στην τριώροφη ταβέρνα. Έτσι η επιλογή είναι δική σας, τα σκαλοπάτια αν νιώθετε ενεργητικοί, ή χαλαρώστε και ανεβείτε με το ασανσέρ. Οποιοδήποτε τρόπο διαλέξετε για να φτάσετε στην ταβέρνα η θέα θα σας κόψει την ανάσα από την ομορφιά της. Επίσης θα εισπράξετε και ένα ζεστό καλωσόρισμα από τον Τάσο και την οικογένεια του. Το φαγητό που σερβίρεται στην ταβέρνα είναι παραδοσιακό, ελληνικό σπιτικό φαγητό, αλλά και ποικιλία από αλλά πιάτα για να ταιριάζουν στις προτιμήσεις όλων.